This pack contains 3 phonics based board games suitable for Reception children (4 to 5 years), and Year 1 children (ages 5 to 6 years) who are struggling with early phonics. The pack includes a parent information leaflet by Educational Psychologist Dr Sangeeta Silva. Our team of educational psychologists often recommend a range of different books to support schools, teaching staff, parents and carers, children and young people. We have listed these books here and provided links to Amazon where they can be purchased. 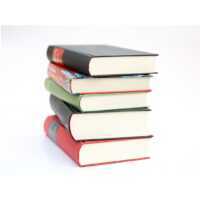 The books cover topics such as anxiety, behaviour, literacy skills etc.